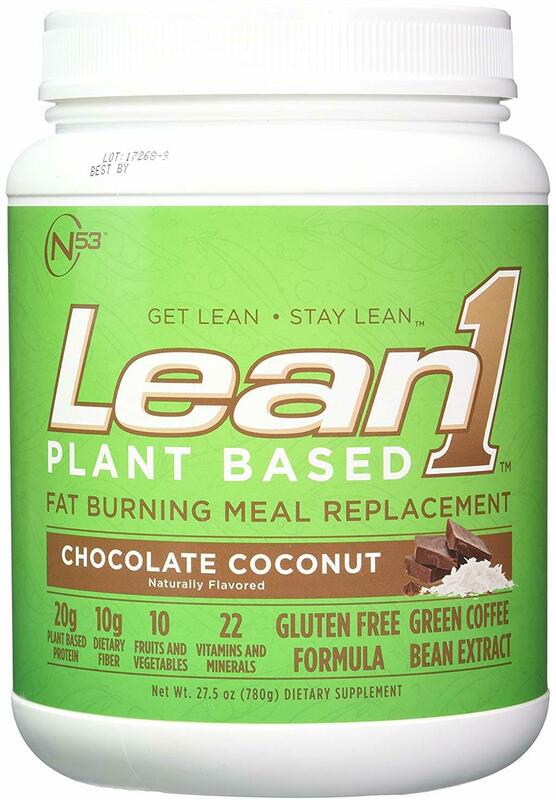 BOOST ENERGY WHILE BURNING BODY FAT: Nutrition53 Lean1 plant based is a perfect combination of fat burning ingredients that will help you achieve the desired body size and shape; the powder aids in burning fat while increasing metabolism and energy to keep you going all day. MEAL REPLACEMENT WEIGHT LOSS POWDER: Our premium meal replacement powder contains 20 grams of plant based protein, 10 grams of dietary fiber, 10 organic fruits and vegetables in each serving. Our energy boosting supplement can simply be a highly nutritious meal replacement to help you shed the extra weight. GREEN COFFEE BEAN EXTRACT: With 22 vitamins and minerals, canola oil, sunflower oil, monk fruit extract, stevia extact, green tea extract and green coffee bean extract, the weight loss dietary supplement helps you build lean muscle and boost your energy. DELICIOUS PLANT BASED CHOCOLATE COCONUT PROTEN POWDER: In addition to the protein, fiber, and vitamins typical of meal-replacement formulations, Lean1 has great taste, satisfies hunger cravings, and is not only a catalyst for weight loss but also a tool for keeping weight off by becoming a daily routine perfect for pre and post-workout drink, snack, and even dessert. It is Gluten-Free, Non GMO, Soy-Free. 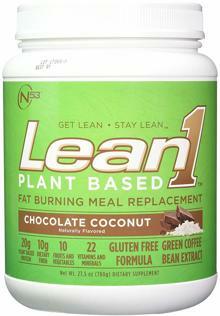 TESTED TO THE HIGHEST STANDARD: Lean1 is made in a sport certified manufacturing facility. This means that every ingredient and every batch of Lean1 that is produced is tested to the highest standard so you can feel confident about what you're putting in your body.